Host was waiting for my arrival, made to feel welcome immediately. Some welcome treats and provisions were provided which was a nice touch. Explained everything about the apartment and advised to just contact him if i needed anything. The Appartement was according to the description. Fully equiped, very clean and tidy and and and... The host is a great guy. Thanks a lot! Care for details. All things are well done in the apartment. Lights are amazing. 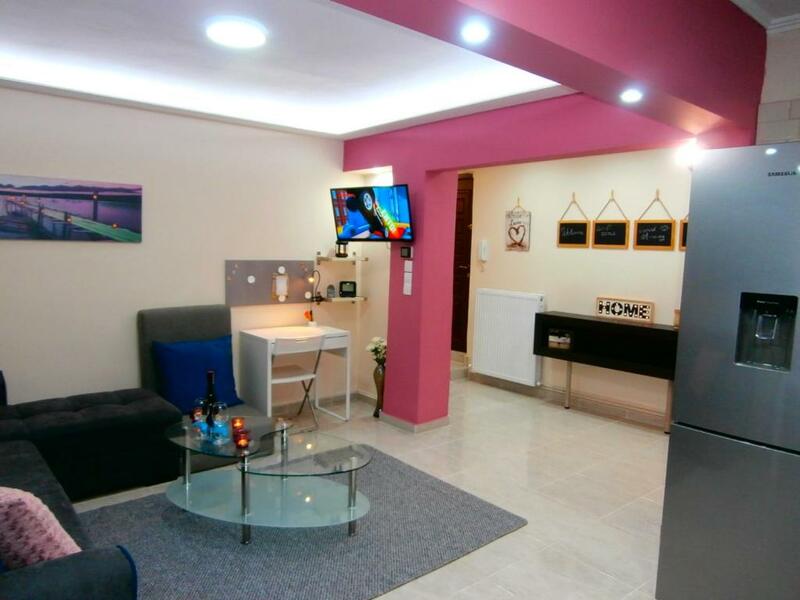 Excellent apartment, located 15 minutes from the historical sights of the city. Equipped with everything you need. Very clean. Excellent and sufficient breakfast products. We will surely come back again. Everything was perfect! 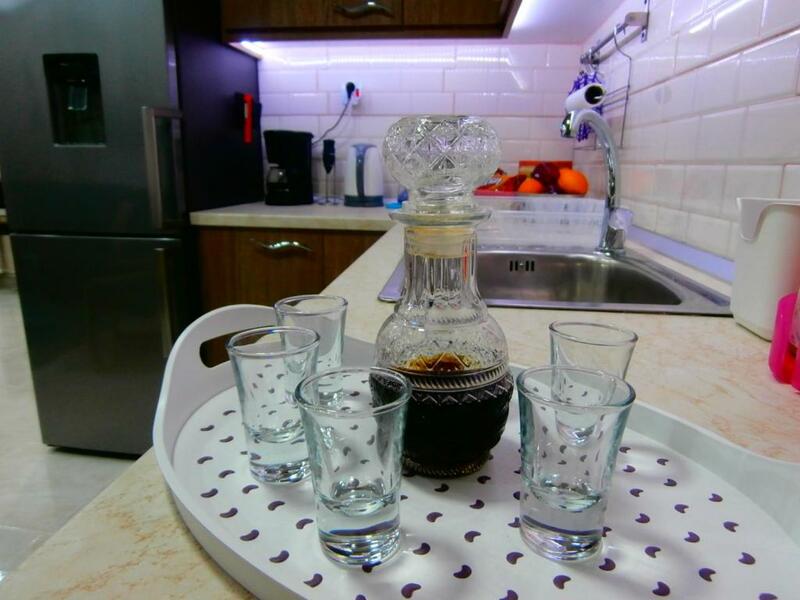 Friendly hosts, Rania and Basilis for us was a pleasure to be in your apartment! We have everything we need and thank you for addresses you gave us. Hope to visit you again in the future! Regards. Апартаментът е на пешеходно разстояние от всички забележителности на Солун, в близост до музея на византийската култура и Бялата кула, недалеч от стадион Тумба. Кварталът е тих и спокоен. Паркирането е безплатно, на улицата. Наоколо се намират места, но паркирането е безразборно, по балкански, а уличките тесни. Наблизо има и платен паркинг. Собствениците са изключително гостоприемни. Закъсняхме с половин час поради трафика, но те ни чакаха и дори ни бяха запазили място за паркиране. Жилището е безукорно чисто и снабдено с всичко изброено в обявата. На 50 м. разстояние има супермаркет. Хазяинът ни препоръча няколко заведения, от които останахме доволни. Everything ! 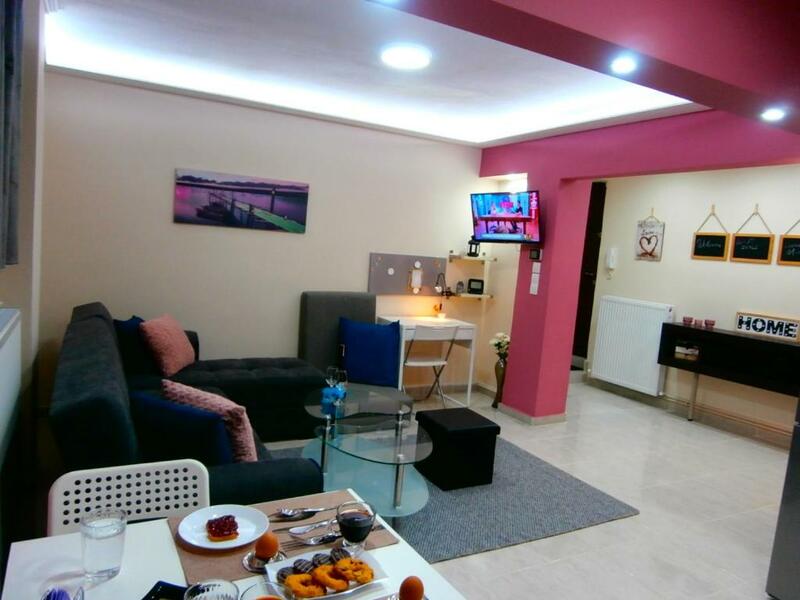 The location is very good just 15 min to walk to the White Tower, the owners are very friendly and full of joy, the apartment is very clean, all is new and in mint condition. We parked the car (for free) on a quiet street near the apartment. It was one of the best accomodation that we had (all time) ! For sure we'll book again next year ! Best regards and keep up the good work ! 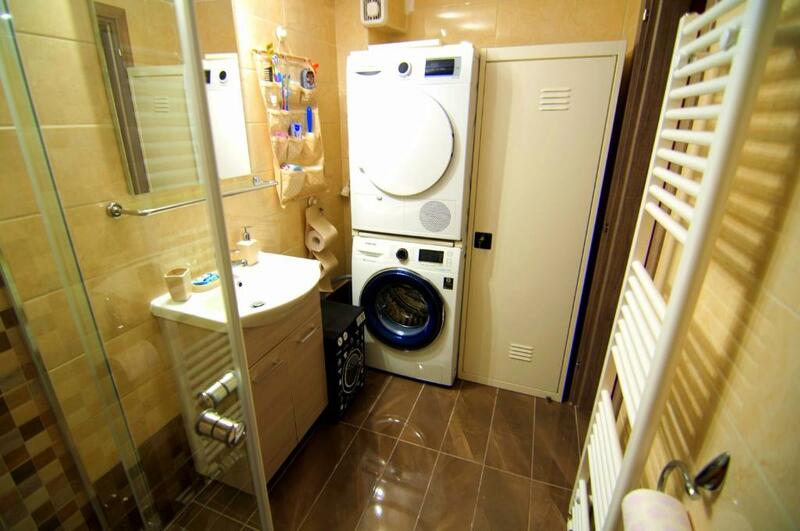 Apartamentul are toate facilitatile de care ai nevoie: foarte bine dotat. Foarte curat. Gazda foarte amabila. Prelep enterijer, odlično opremljeno, prilično čisto i domaćini koji ništa ne prepuštaju slučaju. Sve preporuke, oduševljen sam apartmanom. Assicurati un ottimo prezzo per Sweet and luxury Center ArtFlat, valutato di recente dagli ospiti con un punteggio di 9,8. Una delle nostre scelte top a Salonicco, e i clienti approvano. Situato a 1,3 km dal Museo Archeologico di Salonicco, a 2,1 km dalla Rotonda e dall'Arco di Galerio e a 2,3 km dal centro espositivo di Salonicco, lo Sweet and luxury Center artflat in Thessaloniki offre sistemazioni con WiFi gratuito. Avrete a disposizione una cucina completamente attrezzata. L'appartamento presenta 1 camera da letto, 1 bagno e una TV a schermo piatto con canali satellitari. A vostra disposizione anche un parcheggio privato. Lo Sweet and luxury Center artflat vanta anche una terrazza. A vostra disposizione anche una pista da bowling. Lo Sweet and luxury Center artflat dista 2,3 km dalla Torre Bianca. L'Aeroporto di Salonicco dista 14 km. Quando vuoi soggiornare presso Sweet and luxury Center ArtFlat? Appartamento climatizzato con area salotto e utensili da cucina. 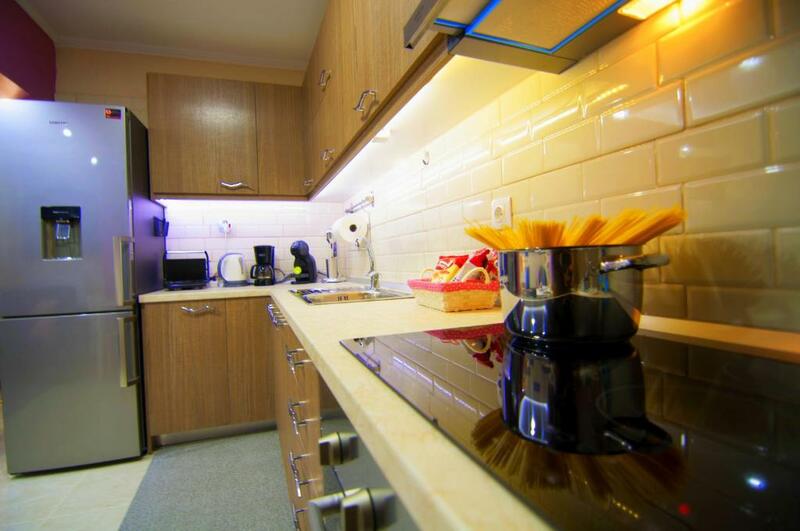 The Sweet and luxury center ArtFlat is very well located, just a few minutes away stands the most significant monument and city landmark, the White Tower. The city center of Thessaloniki invites you to discover it! The apartment features a living room with a modern pull out sleeper sofa, 2 flat-screen tv's, a bedroom with double bed high quality mattress brand, ensure you a comfortable night's sleep, a fully equipped kitchen and a cozy bathroom includes a brand new washing machine and dry machine. Free wi-fi is provided. It's all about making you feel welcome. It's about creatin a ''home from home'' atmosphere and a sence of connection. Our attitude to service is what defines us. If you share our passion for excellence, please be our guests! 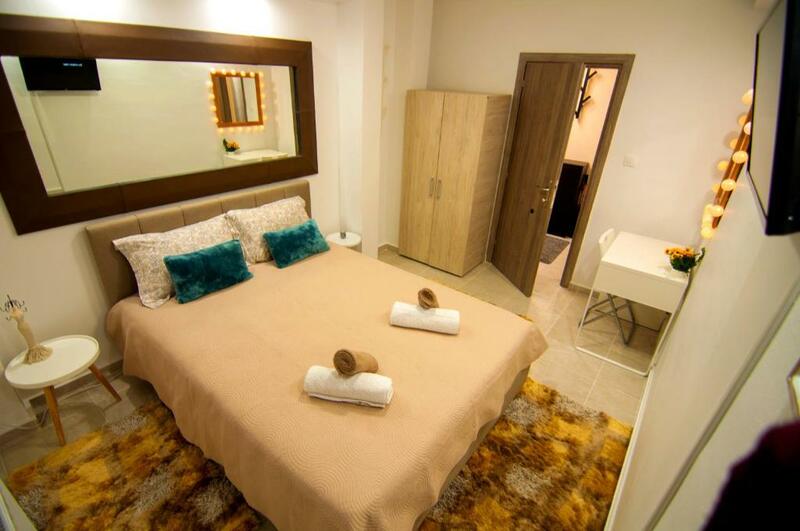 Το καλαίσθητο Sweet and luxury Center ArtFlat βρίσκεται μιά ανάσα από το κέντρο της Θεσσαλονίκης, σε μικρή απόσταση με τα πόδια από την Δ.Ε.Θ και τα κύρια αξιοθέατα της πόλης.Διαθέτει πλήρως εξοπλισμένη κουζίνα που σας δίνει την δυνατότητα προετοιμασίας ροφημάτων και γευμάτων. Προσφέρει δωρεάν Wi-Fi. Έχει μοντέρνα διακόσμηση διαθέτει ατομική θέρμανση αερίου με ζεστό νερό όλες τις ώρες και κλιματιστικό inverter. Τό κομψό μπάνιο περιλαμβάνει καμπίνα,πλυντήριο-στεγνωτήριο ρούχων,πετσέτες,πιστολάκι μαλλιών και δωρεάν προϊόντα περιποίησης. Υπάρχουν 2 τηλεοράσεις επίπεδης οθόνης,μία στην σαλοκουζίνα και μια στο υπνοδωμάτιο με το διπλό κρεβάτι και στρώμα υψηλής ποιότητας (brand), 2 εργονομικές ντουλάπες καθώς και 2 γραφεία.Είναι πολύ εύκολα προσβάσιμο,και κατεβαίνεις δύο σκαλοπάτια για να μπείς. Έχει ιδιαίτερη αύρα, είναι πραγματικά πολύ πολύ ήσυχο και ευχάριστο,όλες τις ώρες και εξαιρετικά ασφαλές.Μια επίσκεψη αρκεί για να καταλάβετε ότι τα πράγματα είναι ακριβώς έτσι. Η πολυσύχναστη πλατεία Αριστοτέλους,απέχει μόλις 2χλμ. 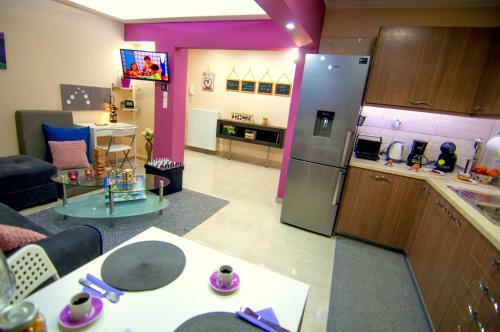 από το Sweet and luxury Center ArtFlat. Ανάμεσα στα αξιοθέατα της περιοχής είναι το Μουσείο Βυζαντινής Ιστορίας, ενώ ο Λευκός Πύργος βρίσκεται 10' με τα πόδια. 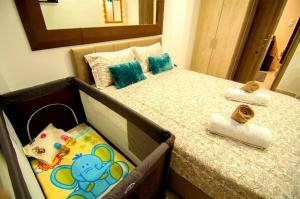 Leggi prima di prenotare Sweet and luxury Center ArtFlat accetta le richieste speciali. Aggiungile nel prossimo passaggio! Sweet and luxury Center ArtFlat accetta queste carte di credito e si riserva il diritto di trattenere temporaneamente un importo prima del tuo arrivo. Siete pregati di comunicare in anticipo a Sweet and luxury Center ArtFlat l'orario in cui prevedete di arrivare. Potrete inserire questa informazione nella sezione Richieste Speciali al momento della prenotazione, o contattare la struttura utilizzando i recapiti riportati nella conferma della prenotazione.